Weight management can be a huge hurdle for many Americans. The human chorionic gonadotropin diet – or HCG diet – is not new to the scene of weight loss, as it’s actually been around since the 1950s. Because this diet requires very low caloric intake, the FDA (Food and Drug Administration) strongly recommends any diet like this to be closely monitored by a physician. If a person tries to lose weight via the HCG diet without a doctor’s supervision, the person may suffer severe health problems. The HCG hormone is produced in a woman’s body during pregnancy. The HCG hormone in pregnant women activates the stored fatty tissue in the mother’s body, and helps to ensure that the developing baby has plenty of energy and nutrients from that fat. HCG is harvested from consenting pregnant women who are giving birth; it is never harvested from fetuses or fetal tissue, so there are no ethical issues. Consistent, small doses of the HCG hormone in the average person – both in men and in unpregnant women – can allow the body to burn approximately 2,000 calories worth of stored energy. That can, therefore, burn about 1 pound of body fat. Many people have experienced positive results from following the guidelines of the HCG diet. HCG gives your body a constant stream of energy, empowering the body to burn “trapped” fat. People who are on the HCG diet with a 500-calorie daily intake usually feel no hunger pains, because their body is living off of the calories from the trapped fat. Consuming these 500 calories a day also keeps you from feeling tired, weak, or irritable, and helps you adjust to smaller portions once you’re no longer on the diet. Does the HCG Diet Increase Metabolism? HCG can help to improve your metabolism. When dieting normally, without the help of HCG, your body goes into starvation mode because you’re eating less than usual. This causes your metabolism to slow down, and therefore extra calories are stored as fat – because your body doesn’t know when it will be able to satisfy its nutritional needs. Even after dieting, your body stays in a state of amplified hunger, lowered metabolism, and calorie storing until its equilibrium is restored – which is usually when all the weight you lost is back again. With the HCG weight loss program, the HCG hormone utilizes the fatty tissues you already have stored and does not cause you to feel hungry or reduce your metabolism. 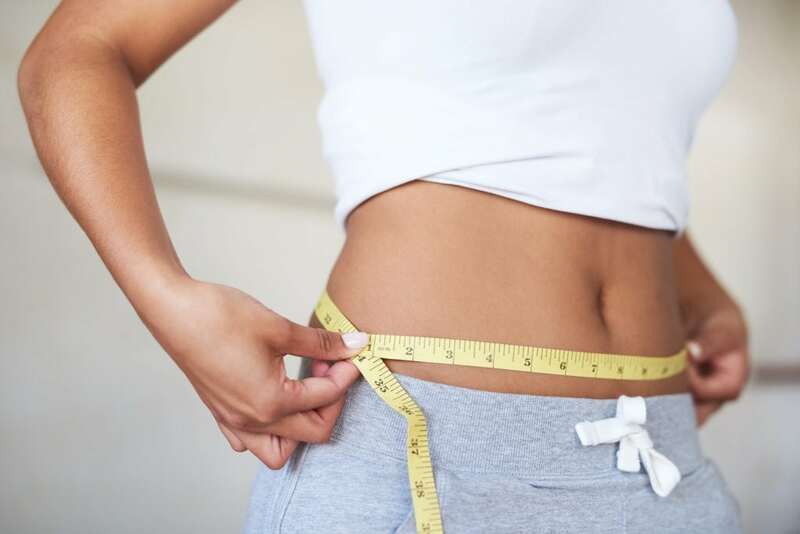 HCG can be an effective first step to managing your weight, but be sure you’re under the careful eye of a physician to ensure you’re getting the maximum benefits with long-lasting results. Who Can I Talk to About Losing Weight? If you’re considering the HCG diet or any other weight-loss regimen, speak with your doctor to discuss what’s right for you. At Lady’s Care Center, Dr. Ladynez Espinal and her staff offer a wide array of healthcare services – ranging from weight management, family planning, education, overall wellness, and therapeutic health care services. Our practice is designed with a large offering of health care services for women of every stage of life. To schedule an appointment with Miramar OB/GYN Dr. Ladynez Espinal, call us at (954) 538-1700 or book an appointment online. We are conveniently located in Miramar, between Miami and Fort Lauderdale. We look forward to partnering with you in maintaining and optimizing your health.